Residensi Seri Wahyu is Mah Sing first affordable homes project (RUMAWIP) located adjacent to the Lakeville Residence, off Jalan Ipoh in Taman Wahyu, Kuala Lumpur. Residensi Seri Wahyu consists of one tower and has a total of 660 affordable apartment units. Each apartment has a built-up area of 805 sq.ft. comes with one carpark. Facilities at Residensi Seri Wahyu include a swimming pool, children’s pool, playground, gym, BBQ area, a multi-purpose hall and more. 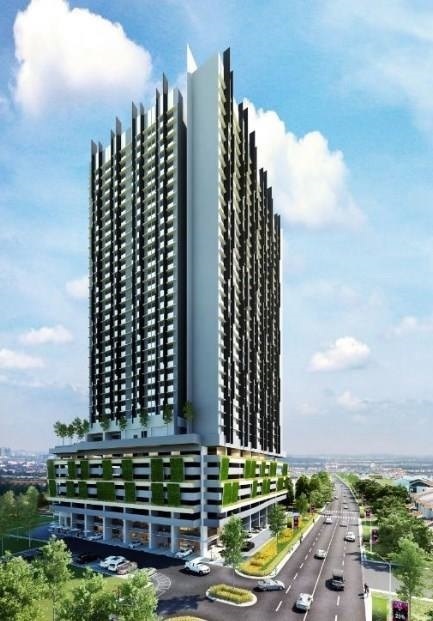 Residensi Seri Wahyu priced at RM300,000 each unit, upgraded package that comes with kitchen and bedroom fittings, air conditioners, water heaters, floor tiles as well as added electrical points for an additional RM30,000. Additional carpark bays are also available to buyers at RM25,000 for one tandem parking bay or RM30,000 for one side-by-side parking bay.